It's been a real long time since we've spoken about The Mail Room Barber, but I think this Matte Clay Pomade of theirs is a great way to bring them back into the conversation. According to Robert, they've had this new product in development for longer than expected, but from my point of view, it's safe to assume that the time spent perfecting the formula. The design runs parallel to the rest of the line, but more like Nolde Forest than the original options. It uses a playful font choice with a purely text-based design. The jar is an amber glass and carries 3.5 oz. of product. The scent is very nice. I consider it similar to Nolde Forest but with a whole lot more pine and a floralness to it. Don't think that it doesn't have a bite to it because it definitely still does. When your finger first makes contact with pomade, it might feel tough, but don't fret. It's actually pretty soft and also, surprisingly dry. I was worried that when I started to smear the product in my hands, there would be a super strong grip that took over. I was wrong. It was dry but smooth. The clay must have been very fine because you don't feel any grit from the clay. It's almost like your rubbing flour in your hands. When I first styled with it in the morning, it actually had a luster. I don't even know how that happened with kaolin clay being the most significant ingredient in this formula. Do note though that this neutral-esque luster will go matte throughout the day. It's got a very nice dry pastiness that keeps general form together while still giving you coarse texture. Coarse. Definitely not getting any fine texture from this pomade. As you saw in the video, I was able to style it all very quickly. That's probably the best and most visible example of the quality of control a pomade offers. Its performance is very similar to Baxter Clay Pomade but lighter and drier. It'll last an hour or two if you style a textured pomp. They even say something along these lines on their website. You can always expect a clay pomade to not have great endurance. What you should expect from a quality pomade is that it maintains a high level of aesthetic even once it's all messy -- the way it falls and how it separates. They did a good job formulating this pomade to look good right after you style and even when it gets messed up during the day. It's easy to finger comb it back out of your face or get it all back up with a comb. Nope. The fact that it's oil-based real helps. You'll definitely get it out in two showers with shampoo. Or if you went light, then you can probably get it out in one shower. While there are other oil-based clay pomades on the market, it is a very limited selection. There are some options, but it's been primarily dominated by Baxter of California Clay Pomade and at a steep price. Now, there have been other alternative options that have popped up -- with comparable performance and a much better price. 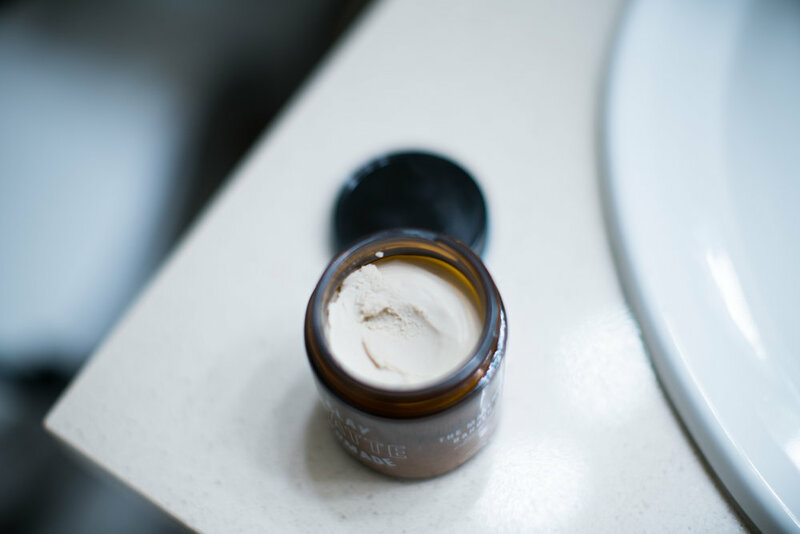 The Mail Room Barber Matte Clay Pomade is another option that is very similar but with a much lighter weight and cleaner feel (due to the dryness). Because of this, it receives my seal of approval. If you're interested in giving it a try, feel free to use our promo code THEPOMP to save some money on your order with the Mail Room Barber.